Buying Your First Home In M'sia? Here're 7 Government Schemes That Can Help. 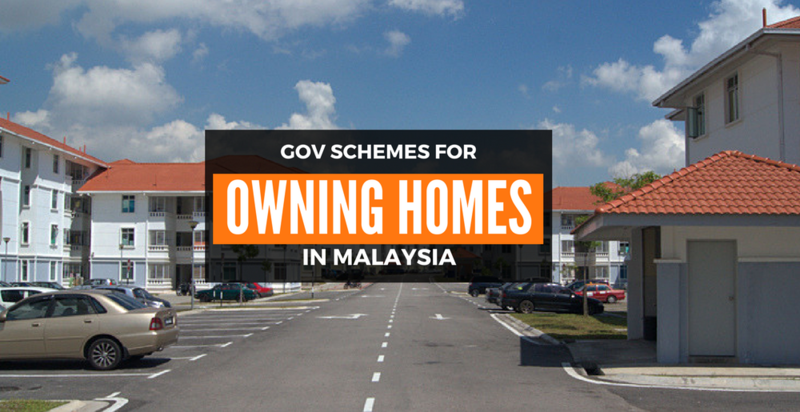 The government has a few schemes in place for Malaysians, especially young Malaysians, to buy their first home in Malaysia. This list includes the schemes, requirements for applications, and where to apply. It is a common truth now that many millennials graduate higher education ready to strike out on their own, only to move back with their parents. Unfortunately, between the job economy today and the exorbitant price of many properties, many lower-earning Malaysians simply cannot afford to live in their own homes. The glut of unbought homes is also an issue that many Malaysian developers and the banks are grappling with. As of November, it’s the highest that it’s been since a decade, owing to the multitudes of highly-priced homes that Malaysians simply cannot afford. While the following schemes won’t solve these issues on their own, we think that they will be a great FYI for Malaysians who still have dreams of cultivate their own gardens, and raise their kids in property that they own for the long-term. Do note that for most of these schemes, you can only apply for one at a time, particularly between MyHome and MyDeposit. Often confused with the similarly named MyDeposit launched this year (which has since passed its application date), MyHome or the Skim Rumah Pertamaku (SRP) was announced by the government in 2011 to help young adults own a home without putting down a 10% down payment. It’s available for adults below 35 years of age. Cagamas SRP Berhad will instead help guarantee the banks for financing above the 90% level. Application for one unit to each household member. Income of household members must follow the requirements for MyHome1 and MyHome 2 (according to the table below). You’ll also have to include the documents as listed here. Go to this website and click ‘Mohon’ on a home. This skim was designed to help low-income individuals subsidise building a home. This is also to help people from this economic class increase their standard of living. Applicant and their spouse are Malaysian citizens. Aged between 21 to 70 years old. Not government employees or retiree (including spouse). Neither applicant or spouse own a home. Gross income of household is between RM1,000 to RM3,000 a month. Own land or have if a nearest family member owns land. The houses have to be built on certain specification which can be found here. Also known as the Skim Pembiayaan Deposit Rumah Pertama, this initiative is meant for first home-buyers. This scheme aims to help the middle class—households with income between RM3,000 to RM15,000 a month—to buy their own homes. This scheme was introduced during Budget 2018. Malaysian citizen of at least 21 years of age when the application is made. There are no maximum ages set. Application is to buy a first home for one family. Gross monthly income from RM3,000 to RM10,000. Must have the qualification to take housing loans with any funding institutions. Eligible applicants will be given conditional approval with a period of 30 days to sign the purchase agreement. The application period for 2018 has just passed in February, but the government might continue this scheme beyond this year. You can check if it’s open on this website. Also known as the Skim Rumah Pertamaku, this plan could help Malaysians fund up to 100% of the residential property to avoid the 10% charge. It’s for homes between RM100,000 to RM400,000—as long as it’s not meant for other investments. Malaysians or those in the private sector in Malaysia. Up to 35 years old. Monthly gross income of a single borrower: No more than RM5,000. Combined montly gross income (family only): No more than RM10,000. Financial liabilities for repayments cannot be more than 60% of net monthly income, or the maximum financing limit from the bank. Maximum financing period is 35 years, and borrower’s age cannot be more than 65 years old at the end of the financing period. Monthly payments through monthly salary cuts. Applications can be done in branches of participating banks. You can find out the list of banks here. The government teamed up with BSM to offer a scheme for married youths. It’s meant for financing the purchase of either completed, or under construction or sub-sale properties. The goverment would also be providing RM200 for the first two years to help with the financial burdens of house purchasing. The downside is that there’s limited spaces for those who want to apply for the scheme. Malaysians between 21 to 45 years of age (as long as you’re not more than 65 years old at end of tenure). Single or married with household income no more than RM10,000 per month. BSN GIRO / GIRO-i account holder. Download the application form here and submit it to any BSN branch. You’ll also need to get the required documents ready and prepare funds for stamp duty. Available for those looking to buy homes within Selangor, thanks to the Lembaga Perumahan dan Hartanah Selangor. The properties offered under this program are not above RM250,000 per unit, including the 6% GST. Minimum income for application of Rumah Selangorku Type B, C and D is RM3001 a month. Income for both husband and wife does not exceed RM3001 a month up until RM10,000 per month allowed for Type A application. Meanwhile household income between RM3,001 and RM10,000 are eligible for Type B ,C and D applications. Applicants can only make one type of application, A, B, C or D.
Applicant or partner do not own a home either though a government or private projects in Selangor. Transfer of ownership is only allowed after 5 years from the purchase agreement. Purchase of home to live in, not for renting. Validity for each application registered is 2 years. After 2 years, any applications in the waiting list will be removed from the system and those still interested will have to make another application. Register for an account and apply on this page. 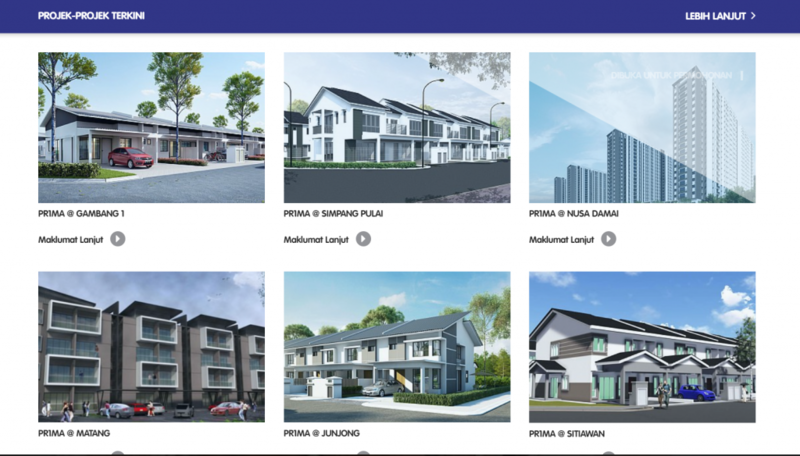 Some of the latest Pr1ma properties. To apply, you’ll have to register for an account with PR1MA on their website. The idea is that PR1MA homes are in communities with a variety of types and sizes. Properties offered are between RM100,000 to RM400,000. For both the single and married. Household income between RM2,500 to RM15,000 a month. PR1MA properties can be bought as first or second properties only. Register for an account here, and apply for the programme here.